On the west side of Rocky Meadow Street in Middleborough, lies a large swath of scrub oak covered land. Though of little seeming historical significance today, in the mid-1920s it garnered national attention when it was operated as the Nemasket Elk Range by Ernest B. Jones and his sons, Percy R. and Maurice A. With the intention of processing elk into steaks and canned meat, the Joneses established what was claimed to be the largest herd of American elk east of the Mississippi and one of the largest herds in the world. 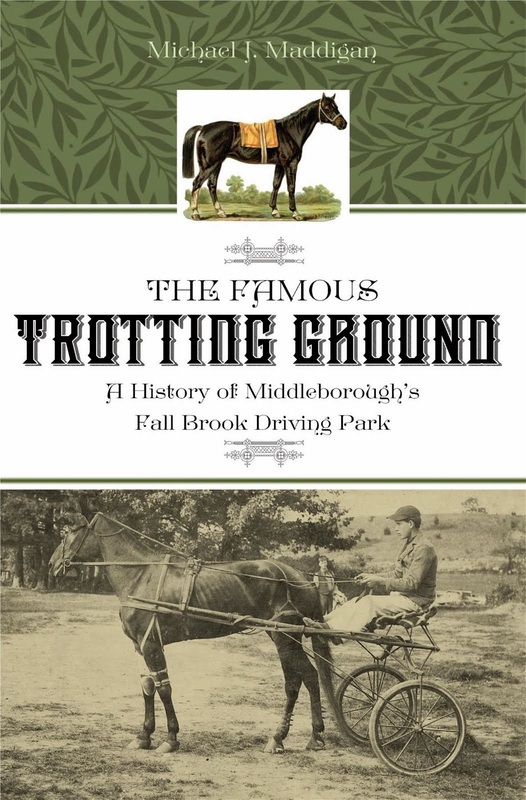 In 1924, the Joneses (all of whom had been previously connected with the local cranberry industry) acquired a tract of a few hundred acres at Rocky Meadow and Tispaquin Streets in Middleborough. 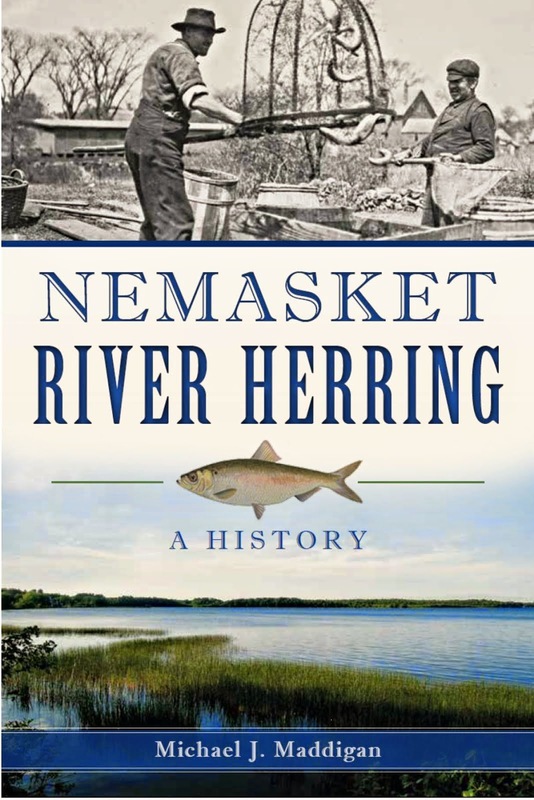 The land sat astride "Nemasket Ridge" and was bordered on the east by Rocky Meadow Street, on the north by the cranberry bog built by Francis D. Kelley at the turn of the century and Tispaquin Street, on the west by Short's Brook, and on the south by swamp and upland near Wood's Pond. The parcel was proposed as the principal breeding range for the elk, including as it did ample water and grazing land, and it was to be all enclosed by a seven foot high wire fence. To populate the range, the first elk - three bulls and seven cows - were brought via railroad freight car from Rushville, Illinois, to Middleborough where they arrived on February 19, 1925, in the care of Maurice Jones. Though one cow had died in transit, the remaining elk were brought without difficulty to the Rocky Meadow Street range where they reportedly "took to the vast country with ease and may be seen ambling along the hillsides daily." Also transported were five wild Russian boars, said to have arrived in the same rail car. 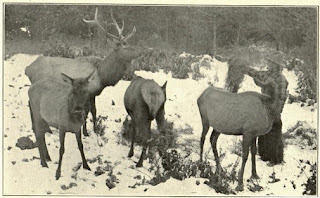 Following the arrival of these animals, the Joneses formed the Elk Breeding & Grazing Association with Percy as president and Maurice as treasurer. With the intent of further expanding the business, the Grazing Association acted upon plans to augment the existing herd by bringing an additional 130 elk from South Dakota and Idaho. On December 5, 1925, an initial carload of 21 elk was unloaded at the Middleborough depot, consisting of two bulls and nineteen cows, shipped from Wind Cave National Park in South Dakota. Given the purpose of the Jones venture, it was not surprising that it was noted of the South Dakota elk that "every one is plump." The addition of the South Dakota elk increased the size of the herd at the range to thirty-five, with the biggest increase having yet to come. In August, 1925, the Jones brothers negotiated with officials of the National Bison Range at Dixon, Montana, to remove some thousand elk from that range where they were competing for limited grazing lands with the protected herd of 450 buffalo. Originally, 36 elk had been introduced into the Montana reservation in the early 1900s at a time when they were considered endangered, but 20 years later they had largely overrun the preserves to the detriment of the bison which the preserves had been established to protect. Consequently, the federal government sought buyers who would remove the elk. Among the takers were the Joneses who developed a trap which allowed them to capture the entire herd of elk in a relatively short time. "To gather the animals, Warden Rose of the bison range and Percy Jones of the elk company constructed a long wire fence with the wings concealed in trees. Then cowboys drive them inside the enclosure and they were largely retained there." Transferring the captured elk from the range to the nearest depot was fraught with difficulty, given the primitive nature of the roads in the region. "Trucks often stuck, and horses had to aid the gas-pwered vehicles in pulling them from the mud." The captured elk were shipped to Middleborough forty to fifty elk to a car in trains of six or more cars. Stops were made evey hundred miles in order that the elk could be watered and fed. The interior of the cars remained lit at all times, "an expert having discovered some years ago that the animals are less frightened and are more peaceful in daylight or artificial light." Reports vary as to the precise number of elk which began being received at Middleborough in late February, 1926, with the figure quoted ranging from 378 to 620. Regardless, so novel was the event, that it was covered by newspapers from Brockton, Boston and elsewhere, as well as the Associated Press. "...The herd comprises what is believed to be the greatest single shipment of wild animals ever transported across the continent". Older residents may still remember witnessing the off-loading of the elk at the Middleborough depot where they were transferred to closed trucks for the final journey to the range five miles away, a process described by a number of newspapers as having a "circus[-like] atmosphere." Accompanying the elk herd was Brian "Ike" Milton, the owner of the Bitter Root Ranch in Montana, who was as fascinated by the historical sights the Joneses showed him at Plymouth as were local residents with their first view of a real "Montana cowboy." Advice on the care and feeding of the herd was provided by Daniel Harkins, curator of the Franklin Park Zoo at Boston. 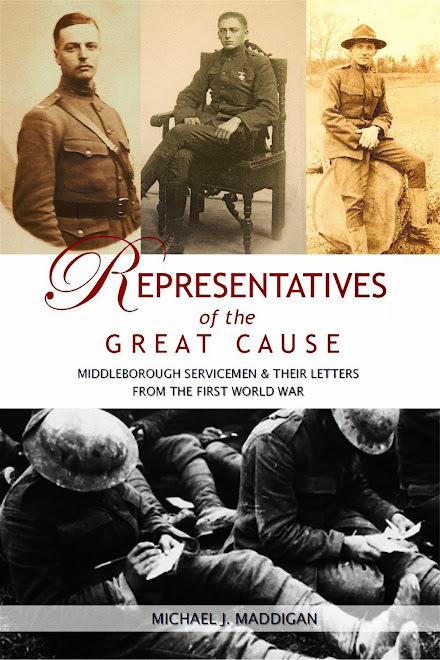 To the disappointment of the crowd which had gathered at the Middleborough depot to witness the off-loading of the elk (including a contingent from the recently formed Middleborough Lodge of Elks), the train arrived half a day late, not pulling into the station until nearly six p.m. The winter darkness already having settled in, the cars were switched to a siding between the depot and freight house and a decision was taken not to unload the elk until the following morning. Nonetheless, local residents could still marvel at the spectacle of "real life" cowboys trodding the platform of the Middleborough station. "The westerners strutted around the railroad station, 10 gallon hats, chaps and other equipment of the west to the delight of young and old. Their full heeled boots particularly got attention." To protect the elk from the overly curious, "Middleboro and railroad police stood guard that bitter February night over the animals." The following morning's off-loading proved to be chaotic. "Ike" Milton's horse on the way to the Four Corners "bucked wildly trying to unseat 'Ike.' The crowd spread in terror. One woman rushing from the plunging horse tripped and fell." Percy Jones similarly had difficulties with his animal. "Jones brought out his pony without a bridle or saddle. As he was trying to get them placed the animal plunged. Percy grabbed him by the neck, circling it with his arms. The horse wheeled, tossed Percy to the ground and others rushed in to calm the horse." Once under control, the two animals with the remaining complement of horses were brought down Center Street to the Nemasket House hotel on North Main Street, unperturbed by either people or autos, but taking fright at a lone bicyclist. Preparatory to their removal to the Rocky Meadow range, the elk were watered and fed. Young boys who had gathered to watch the process were put to work, much to their glee, transporting buckets of water which were filled from a hose, to the railway cars. Meanwhile, men distributed alfalfa as feed. Six trucks with wooden slat sides and roofs were employed to transport the elk to the range, eight elk to each truck. The estimated cost of the relocation of the Dixon herd to Middleborough was an estimated $80,000, $15,000 of which was just for the shipment to Middleborough, a sum believed at the time to have been "the largest single payment ever made for express in Middleboro." The amount represented a massive investment for the Jones brothers who hoped to embark immediately upon their plan to market canned elk meat. "When the entire herd is here the Joneses will start in on their plan of raising this meat for market as there is already a waiting market for this new food product..." To stimulate interest in the venture, Maurice Jones acted as spokesman, giving talks before the Central Congregational Men’s Club on elk breeding in November, 1925, and addressing the Middleboro Commercial Club in March the following year. Maurice's brother, Percy, received hundreds of letters monthly from interested people from across the nation enquiring about the venture. Naturally enough, the enormous herd of majestic-looking elk quickly became an unofficial tourist attraction. Spectators were on hand to witness the arrival of the Montana elk at the elk range and, for their curiosity were almost stampeded by the frightened animals. The Sunday following the arrival of the Montana elk, "several hundred automobiles from Rhode Island and Connecticut points, as well as this state, were at the range to get a look at the elk," the poor condition of Rocky Meadow and Short Streets nearly causing several accidents. Particularly popular with visitors was feeding time. "Feeding time at night and mornings brings the main farm animals out from the obscurity of the forests where they range [in the] daytime." The Jones brothers purposely liberated elk in a portion of the range located closest to the street in order to accommodate curious sightseers. Eager entrepreneurs, ever ready to make a quick dollar, flooded the Joneses with proposals for food concession and souvenir stands for the coming summer. And though such offers were declined, several different postcards were produced at the time to satisfy visitors. During the summer of 1926, what was described as a “branch range” was established on the 100-acre former farm of Josiah Vaughan in a large field on Main Street in Lakeville opposite where Lakeville Recreation now stands. The parcel stretched from Main Street southwards to the Maxim orchard property on Vaughan Street and northwards to the Lakeville State Hospital farm property on Bridge Street. Surrounding the property was a wire fence which residents remember as at least 8 if not 12 feet high. One resident recalled in 2002: “I would stand there at the fence, an elk would come over, and I would scratch its nose. It was heaven for kids. It was also heaven for adults, I suppose.” Later, in the autumn of 1927, still more land was added in Lakeville when Percy Jones acquired land from Fred A. Shockley on the site of the future Reservoir Heights subdivision. Here Jones (according to another resident) kept an unusual menagerie of animals, including more elk (which were transported there in November, 1927), bison, mustangs, prairie dogs and “rubber nose bears” (probably kinkajous). The prairie dogs became such a nuisance in the neighborhood, however, burrowing under their fenced enclosure, that the Town of Lakeville was compelled to add them to its bounty list. Despite the errant prairie dogs, the Lakeville locations became tourist attractions as well, attracting "large crowds of spectators since these latter animals are always in the open and can be viewed any time." The Rocky Meadow Street and Lakeville ranges were calculated to support one elk for every three acres of land. "Estimates indicate that every full-grown elk here requires three acres yearly of land to be self-supporting. With a smaller allotment a certain amount of hay must be fed the animals during winter. At three acres per animal the rotation of the sections fenced in can be practiced so that there is always a third of the land undisturbed for a year and coming in new growth or grass feed." While newspapers reported that the scrub oak vegetation was proving highly suitable for the elk, at least one resident recalls that the Lakeville herd was fed on dairy feed at one time, most likely in the winter of 1926 or 1927. In the autumn of 1927, the Joneses made preparations to begin processing the elk . "A percentage of the flocks will be slaughtered to provide elk steaks for Boston and other markets." Work was undertaken at the time on construction of a slaughterhouse and a refrigeration plant to accomplish this work. 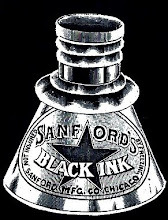 Finally, following years of preparation and a massive investment of funds, the Joneses began marketing elk meat, the Gazette in January, 1928, noting that the product was available locally. 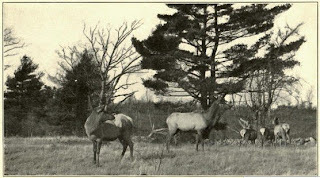 Mertie E. Romaine in her History of the Town of Middleboro understatedly remarks of the Nemasket Elk Range that "the enterprise was not so successful as anticipated," and cites a number of reasons for this, including the death of a portion of the herd due to too many elk on too little land, and the escape of a number of the animals. One of the boars escaped and as early as March, 1926, an elk was found roaming the fields at Bryantville between Halifax and Pembroke. By early November, 1926, it was realized that a number of other elk had also escaped the confines of the range and were straying about the nearby woods where they became prey to hunters. Additionally, though a portion of the herd was slaughtered in 1927 for meat processing, there was ultimately little demand for elk steak as had been previously anticipated, a severe blow for the Elk Breeding and Grazing Association. One crucial factor contributing to the ultimate demise of the enterprise which Romaine tactfully left unmentioned was the 1928 Federal indictment brought against the proprietors of the range for operating an illicit liquor-manufacturing plant, then an illegal operation at the time of Prohibition. In January, 1928, Federal and local law enforcement officials raided the elk range where they discovered "a complete distilling plant" including three 750 gallon stills and "valuable accessories," all valued at about $30,000. The plant, considered one of the best-equipped in the region, was immediately seized, and a three-count indictment was brought against Percy and Maurice Jones, and the Elk Breeding and Grazing Association, charging them with manufacturing liquor, possessing liquor and property designed for manufacturing liquor, and maintaining a common nuisance, in violation of the Volstead Act. Prosecutors alleged that the brothers had manufactured alcohol in a modern, well-equipped building at the secluded Nemasket Elk Range -the herd of elk, a seven foot perimeter fence, the range's vast expanse and remote location, and the brothers' increasing disinclination to promote the range as an attraction keeping away any curiosity seekers. The numerous bull elk roaming the property were seen as a particular deterrant to trespassers on the range. "Any person who wishes to take a chance inside the large range is doing so at his own peril. Nobody in his senses will take the risk." "The Elk's Breeding and Grazing association [sic] has had a lot of two kinds of publicity, good and not so good. When the first herd arrived in the east and was unloaded at the Middleboro station, a large gathering witnessed the ceremony, not that the creatures were good to look at after their long journey in the close quarters of a freight car, but they were unique and the bringing of them to Middleboro was an event, heralded with pictures and news stories in all the daily papers. It was the talk of the town for days and for a long time the popular Sunday afternoon excursion was a visit to the elks reservation. In October, 1928, the brothers were convicted solely of possessing property designed for the manufacture of liquor, the least serious count of the three which would carry with it no imprisonment. The government was unable to prove its case that the brothers had actually manufactured liquor on the elk range. At the time of the Joneses sentencing the following month, the elk herd at Middleborough, though it had dwindled to 400 head, was still considerable, and it became a mitigating factor in deciding the brothers' fate. The prosecution, led by U. S. Attorney Elihu D. Stone, sought a fine of $500 each for the Joneses, as well as a $500 tax assessment upon the Elk Breeding Association, but defense counsel Leo A. Rogers "demurred, arguing that the Jones brothers were hard pressed to purchase feed for the large herd of elk quartered on the association reservations in Middleboro." Judge Lowell, presiding over the case, was swayed by this argument, fining the Joneses only $250 apiece, and the Association $500, though he made clear that his leniency was for the elk, and not the Joneses. "I am not particularly interested in the Jones brothers, but I would not wish to sentence a lot of animals to starvation this winter." In the meantime, the Jones defaulted upon their 1925 mortgage with the Plymouth Co-operative Bank which subsequently seized the Rocky Meadow Street property and disposed of it at public auction, August 16, 1929. 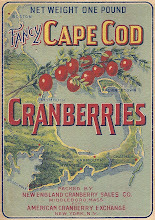 Acquired by the Peirce Trust, it was sold in 1931 to Nilo Korpinen who, the previous year, had acquired the former Kelley bog at the corner of Rocky Meadow and Tispaquin Streets form the United Cape Cod Cranberry Company. Meanwhile, some of the remaining elk were shipped by Percy Jones to Germany in December, 1929, for zoos and parks, as well as processing for meat. In 1931, the Elk Breeding and Grazing Association was formally dissolved by the commonwealth bringing an official close a fasciniating though troubled enterprise. 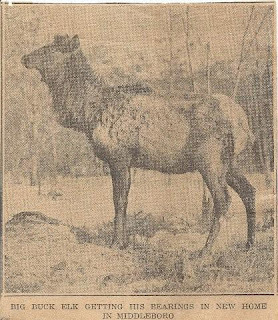 James H. Creedon, "Recalls Days When Wild Elk Roamed Range in Middleboro", Brockton Enterprise, February 28, 1951. 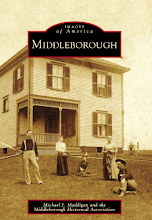 Mertie E. Romaine, History of the Town of Middleboro, Massachusetts. 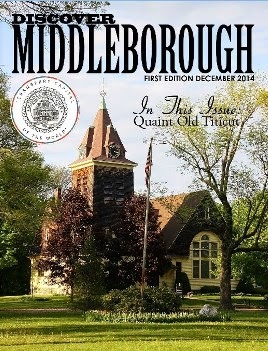 Volume II (Middleborough: Town of Middleborough, 1969). 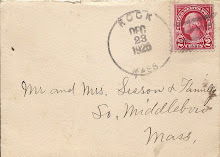 "At the Elk Range, East Middleboro", c. 1926, postcard. The view depicts a group of majestic Amercian elk on the Rocky Meadow Street range. 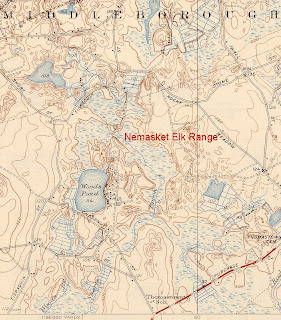 USGS map, 1941, detail Plympton quadrant showing location of the Nemasket Elk Range. 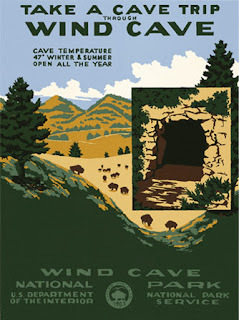 Wind Cave National Park, W. P. A. poster, 1930s. Wind Cave was one of a number of western locations from which the Jones brothers acquired elk. "400 Elk on the Way to Bay State", unknown newspaper, 1926, clipping. The article grossly overstates the size of the Nemasket range - in truth, it was less than 2 percent of the acreage quoted. 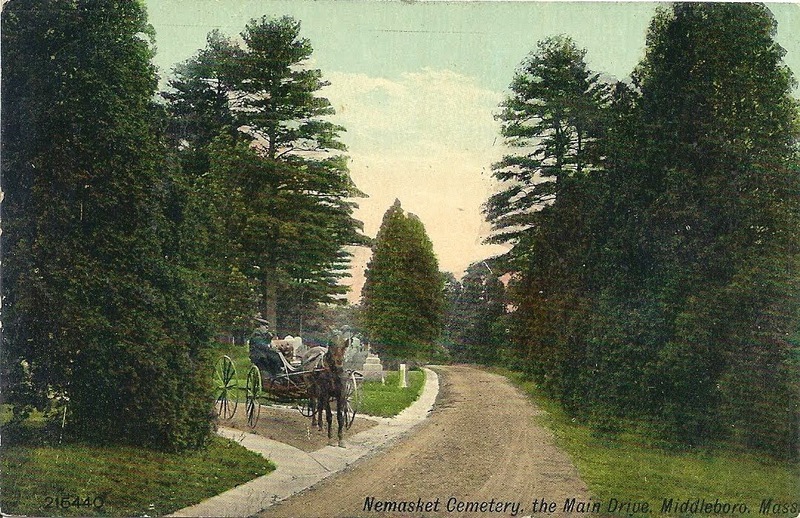 "At the Elk Range, East Middleboro", c. 1926, postcard. 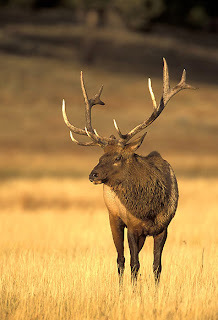 Though taken as early as the winter of 1926-27, already it is evident that the lack of adequate grazing land and the practice of feeding the elk would contribute to the demise of the elk range. "Big Buck Elk Getting His Bearings in New Home in Middleborough", unknown newspaper, 1925, half-tone clipping. The animal is apparently recently-arrived. It remains shorn of its antlers which had been removed for the cross-country journey from Montana to Middleborough. "Stray Elk", Middleboro Gazette, November 12, 1926, page 1. I glad somebody else new about this besides me.